This is is from the 2015 year We’moon planner. 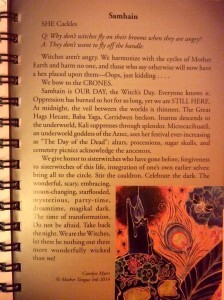 Just a little tidbit as we approach Samhain this weekend. The full moon in Taurus happens this week too, on Tuesday! For sure, a lot of energy swirling and moving through. Remember, self care practices and being gentle with your bodies as this week and weekend shall be carrying intense deep powerful energies…. I will be available for booking sessions/readings until this week Thursday. 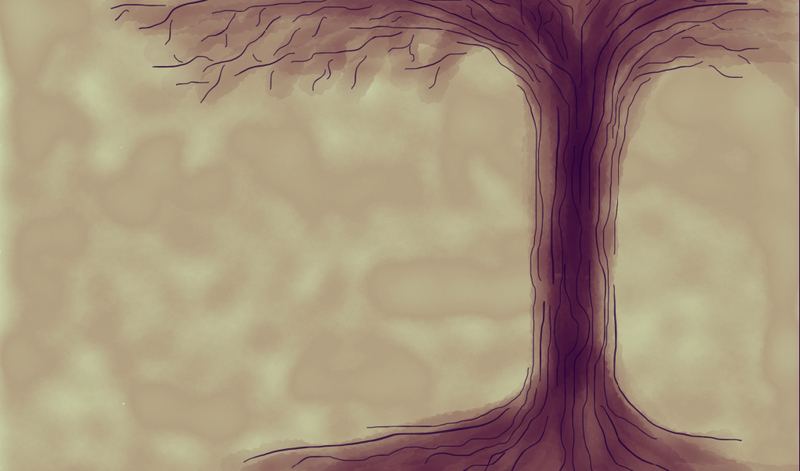 Once Thursday rolls around, I’m on my personal Samhain time until 3rd November. 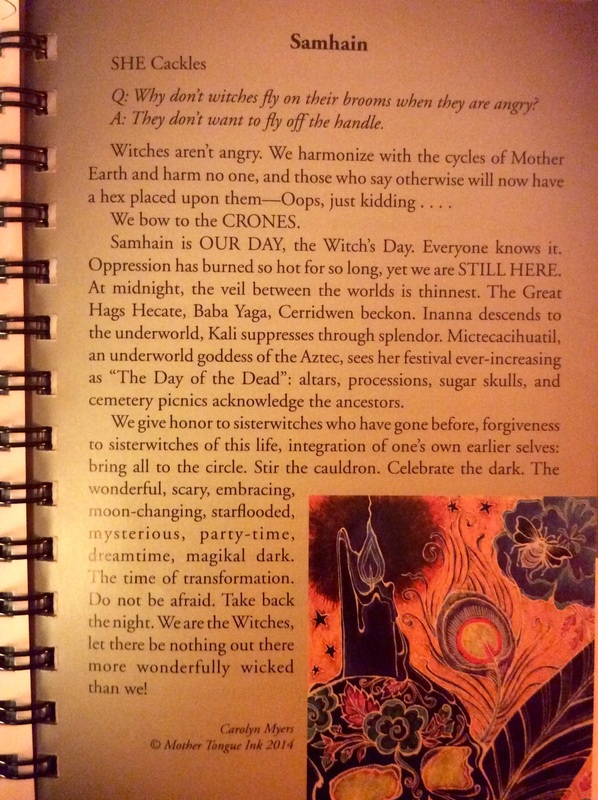 This is my new year, other known as the Witches’ new year. Thankees you for the understanding and patience. Side note: Gift certificates are STILL available! They’re selling for $60, $90, $120. Please get your orders in sooner than later. The closing date for orders is 7th November 2015. Thankees you!